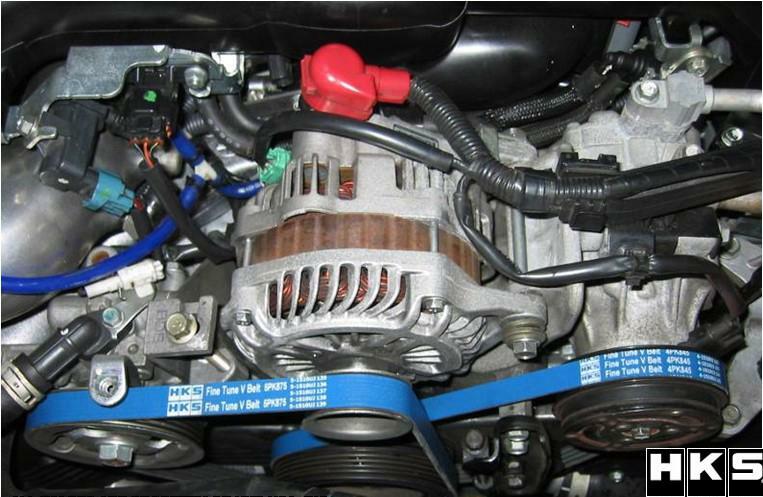 HKS Fine Tune V Belts are light weight and uses EPDM (Ethylene Propylene Diene Monomer) Rubber for better durability and performance in hotter and colder conditions with improved friction tolerance. lightweight with good friction tolerance properties means that excess tension is not required whilst anti sound properties reduces belt squeal. Better durability and performance in hotter and colder conditions with improved friction tolerance. V Belt color is blue with HKS logo. Colored nylon fabric is used for better anti color fading properties.